This poem is a celebration of black women warriors, healers, transporters & more. It is my attempt to simultaneously dig up & dust off a sampling of contributions large & small of a Civil War scout, cook, musket-bearer, code breaker, mail handler, mechanic, spy, USO blues singer, interrogator, x-ray technician, clerk-typist, flight nurse, pilot, band member, analyst, color guard, weathergirl, doctor, drill sergeant, scud-buster, battle buddy, mother, sister, friend, daughter, lover, prisoner of war & tomb guard. This poem is a celebration of African American women’s determination & leadership from the front & the rear, breakthroughs & breakaways, because of, in spite of, before or during intermittent periods of peace. Whether they experienced theater or whether black women prepared others to enter; whether they fulfilled their own dreams to see the world or receive an education; whether they used their skills to cook a meal for hundreds or save the life of one: they were there, they are here. Memories, and underneath my desire to write a poetic response to a wedge subject often left untouched is a metaphorical reflection on a personal path not chosen. I did not serve; I admire those who have. The closest I have ever come was through The American Legion Auxiliary (California Girls State Alumnus 1976) & the American Legion Southern California chapter; both of these organizations provided leadership training as well as modest financial support for my college education. I fondly remember fragments of recruiting films during the bicentennial summer of ‘76 at Sacramento State; my love of the ocean & desire to do something meaningful in my professional life swelled my dreams of saving lives on the Pacific Coast within the US Coast Guard. I sported shoes that year literally stitched with red, white, & blue stars & stripes affixed to thin white rubber soles. I bought them at Leeds Shoe Store mostly as a wearable pop art kind of a thing, but I wore them with patriotic pride just the same. I eventually wore the heels over. This poem is written in the spirit of service. My aunt Nettie Collier served as a head blood bank nurse with The American Red Cross’ Los Angeles Region Chapter until she retired. I was proud when I started giving blood at age seventeen; similar to voting, as a young adult I felt a palpable obligation to share my universal donor O positive blood with some regularity. I can partially blame the underpinnings of searching for service on my Catholic upbringing, since I had both a Catholic grade school & high school education. I attended Holy Family in South Pasadena, CA grades 1 through 8. In 1972, I was elected school president under the slogan “Action Jackson is my name, service is my game.” I was the underdog to Kevin McCarthy (he didn’t fully market himself or understand the power of the poetic slogan.) My primary duties consisted of our daily Pledge of Allegiance (Kevin raised the flag) & singing Our Father on a microphone in the school’s parking lot; 8 grades of approximately 20 kids each followed my convincing lead. However, my service aspirations weren’t confined to grade school perfunctory duties. I remember attending a Shirley Chisholm for President rally in Pasadena somewhere near the Pasadena Altadena border. My mother dropped me off & picked me up. It never occurred to me then that it was strange she did not attend. I was only 12 years old not to mention I couldn’t even vote! But Shirley was “unbought & unbossed.” I appreciated her campaign slogan & her no-fear dedication as a public servant. As far as I was concerned, she was a model to follow. At the rally, I was the only kid there. I suppose I was searching to align with real life non-Hollywood types, searching for a mission to pour myself into. While I only flirted for a brief minute in high school with the idea of serving in a branch of the military as a means to make a living, my personal choice to join the all volunteer forces would not have been out of the realm of possibility as respectable or questioned as a ridicules notion by my extended family. Looking at my life from a rearview mirror, I can see that clearly now. Aunt Nettie often spent her social time at USO functions; Aunt Bossie and Aunt Rachel worked on San Diego naval bases as LVNs; my mother’s youngest sister Aunt Adeline was a welder at National Steel’s shipyard welding Navy ships that passed under the Coronado Bridge. On the other hand, my mother did not work outside of the home & would have questioned the validity of my un-chosen choice at best, & at worst I venture to say she would have attempted to thwart a life in uniform had I articulated my military ambitions out loud, but that is an entirely different matter. There are many things one chooses not to articulate out loud. This poem is inspired by my military family tree of which some sketchy details I have pieced together: great grandfather James Collier served in the Union Army, 64th Regiment, United States Colored Infantry; grandfather Lt. William Collier served in the 10th Calvary & 92nd Division, 1899 – 1929; great-uncle Steven Collier served in the 10th Calvary, 1905; great-uncle Ernest “Chick” Collier served in the 10th Calvary, 1911; great-uncle Robert Collier served in the 25th Infantry & 92nd Division, 1917; uncle Ernest H. Collier served in the 9th Calvary & the 24th Infantry, WWII & Korea, purple heart earned in theater near Pusan; uncle Simeon De Leon Collier & uncle William Collier, Jr. also served in the Korean War; father Edward N. Jackson, fifteen going on sixteen year old enlisted “man”, 1401st engineering combat battalion, Korean War, ordered into active duty age 17 September 11, 1950; cousins Feliza Williams & Nikki Williams served Persian Gulf War. People ask me “why” a lot. Why this? Why now? My blank stare telegraphs back – Why not this? Why not now? 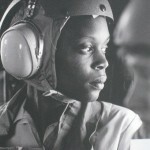 The under-told story of women in the military is being re-drafted, re-edited, re-scripted, & re-assembled, just as the story of African Americans in America is evolving with Barak & Michelle Obama residing at 1600 Pennsylvania Ave. Underneath the foggy bottom of Osama Bin Ladin’s death at the hands of Seal Team 6, it is probably no absurd guess on my part that an African American woman had some part in that mission be it great or small. We may never know her name(s). Triumph is not always pretty; in fact it can be quite ugly in the making. 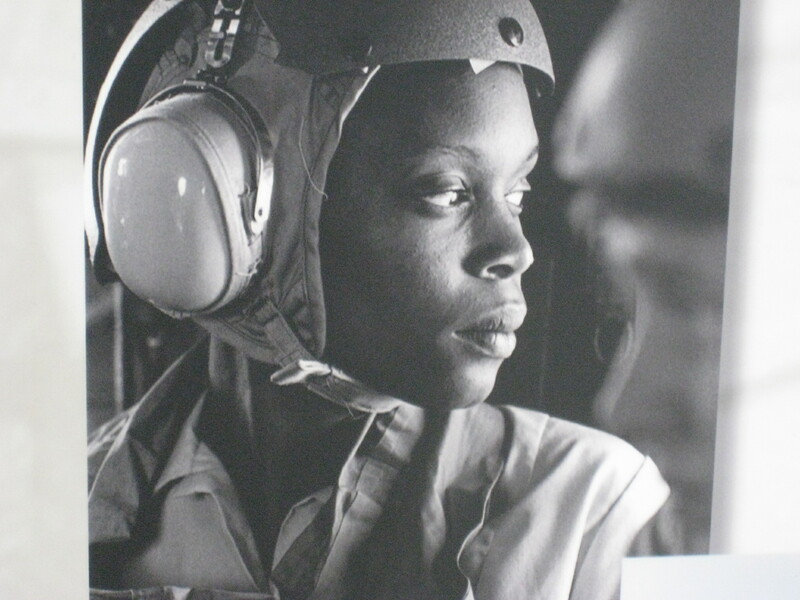 The story of women in the military continues to evolve despite policy controversy, overcoming obstacles including service related complications, abuse, or personal demons; their stories deserve to be celebrated. This book is a celebration of the known & the unknown, dead & alive, of African American women’s contributions to the United States military. Their service is my poetry.